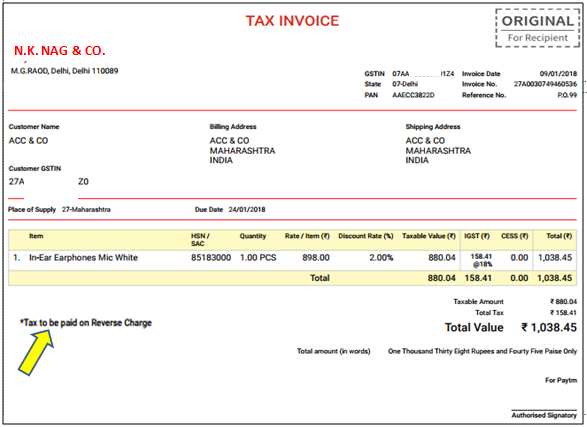 How to Create a Normal Sale Invoice? 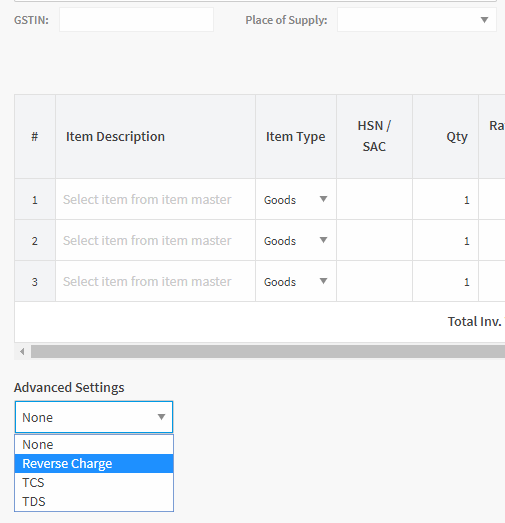 How to Create a Reverse Charge Invoice? How to Bulk Import Invoices? 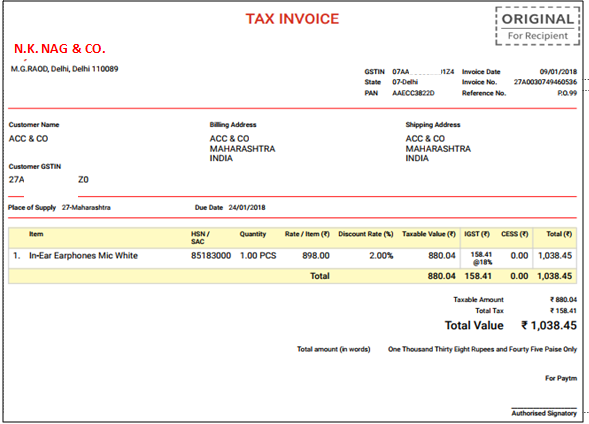 How to Create a Freight/Transportation Invoice? Different Billing and Shipping Addresses (Place of Supply)? For Shipping address, insert the address of where you want to deliver the items. If the shipping address is same as the billing address, then tick the box that reads Same as Billing Address. 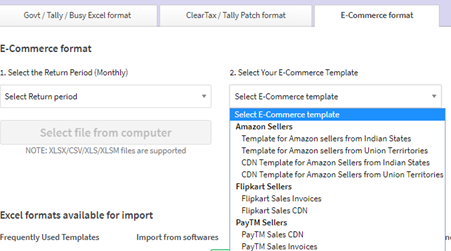 If your business has a large number of sale bills and you want to keep all of them together in your account, then use the Bulk Import feature. 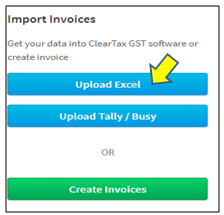 You can use the bulk import feature even when you have been using any other accounting software such as Tally, Busy to record your bills, but want to file your GST returns through ClearTax GST. After selecting the appropriate template, upload the excel. If a bill has any error, you can click on it to fill the right information. After you have fixed all the errors, click on Revalidate. When you sell goods and add any transport cost to your bill, it is necessary to show it on your bill. Would the sale bill have additional information such as freight/transport/packing charges or tax? How will you show it on your bill? Yes, any expense you charge on your bill will have GST applied to them. Add this expense to your total taxable value or you can add it to the value of each individual item. After the whole process, the entire tax amount will be calculated. This way, you can add all these charges to your bill. Under GST, the time when the tax will be levied depends on the supply of goods. The tax type, such as CGST, SGST or IGST depends on the place of supply, that is, where you are supplying goods from. There are rules to know to determine the place of supply but usually, it is your billing address. As we all know, the correct place of tax will determine the right kind of tax and if we make a mistake here then we pay the tax to the wrong department. We understand the problems this might pose and that’s why at the time of making the bill, we give you the option of selecting the place of supply yourself. Do note that under billing address, the registered address of your business will be auto-populated. You will see a Print option on the bill. Click on that to print the bill. Note: The fields marked Optional, are not necessary. Every time you print a bill after this, you will get this information pre-filled on the bill.